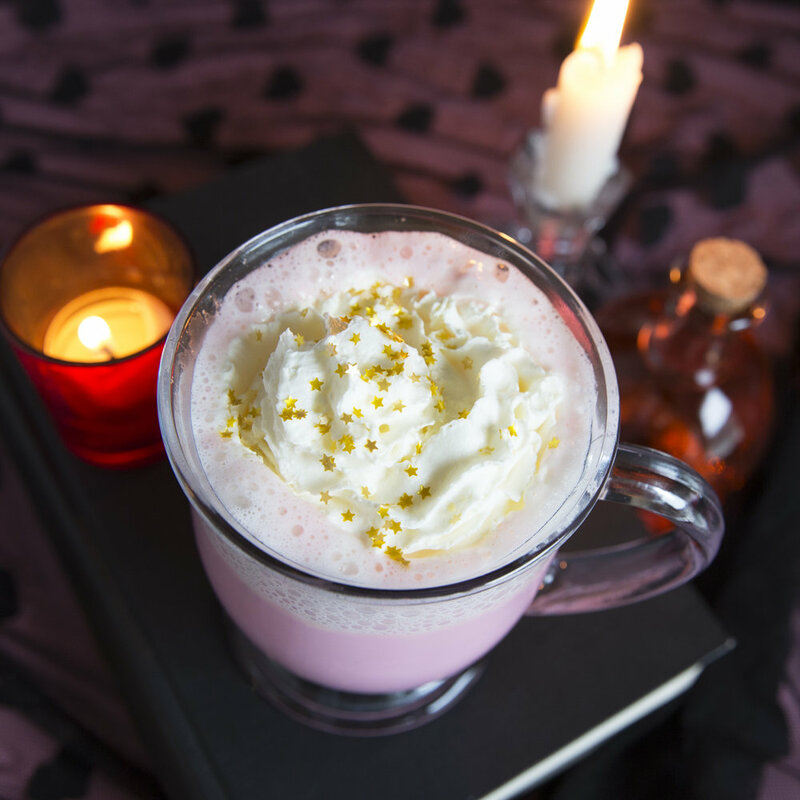 If you were to visit Hogwarts around Valentines day, I would bet that you'd come across some students mixing up a powerful batch of Amortentia - the luminous pink Love Potion. My version may not have the same abilities to cast a love spell, however it does contain peppermint like the original potion and shares the same lovely hue as well! Wintertime calls for coziness and what could be better than a nice, sweet, minty cocoa to share with your friends or a special someone? In a small pot over low heat combine milk and white chocolate. Simmer gently until chocolate is melted. Add red food coloring until the right shade of pink is achieved, about 4 drops. Once warmed and color is evenly mixed add peppermint schapps or extract and stir until combined. Serve hot topped with whipped cream and deco of choice.